Most of the information spread on social media have been found to be largely false. We need to recognise that some journalists are being influenced by sources peddling a political agenda, and that the processes of verification had been flawed. As so-called traditional media, they need to be alert to the risk of publishing misinformation and disinformation. The violence in Zimbabwe in the past few days was mostly the work of misinformation and peddling false news. There are people who have graduated in posting fake news irresponsible reporting which fuelled violence distrust and panic. Newspapers and news agents must strive to have their readers to retain their trust in them as credible sources of information about events in their communities and our country, and they should never forget the fantastic work done by honest and committed journalists in highlighting corruption, for example and a lot of progressive news. The news was awash with news that a second coup was in progress in Zimbabwe. This was not only a figment of their imagination but total lies meant to cause panic in the populace. The events of the last week in Zimbabwe must remind the media industry as a whole of their commitment to their valued readers, to be guided by the Press Code which demands that news be obtained "legally, honestly and fairly in accordance with the laws of the country", and that it be presented "in context and in a balanced manner" reflecting both sides of the story. Our online papers have been good source of true news from Zimbabwe but some rogue ones have tried to lead a very fictitious mayhem and coup in Zimbabwe. They have tried to condition the public opinion towards a coup. It has become clear that some papers and some social media activists are pushing a different agenda and being sponsored by the enemies of Zimbabwe and enemies of peace. The simple test of a reporter is to be honest and truthful not to be agitators of anarchy. Those a who fail this basic test should be held to account because they harm individuals, and society as a whole. Zimbabwe deserves better. Most newspapers report what they wish passing it as truth. There is a problem within the developer community which Is alluded to on Twitter and other social media sites. The problem is misinformation. Information is arguably the most powerful force currently in the world. Those who are new to sharing information often do not realise the power that they wield. People tend to take written information as truth and assume it is accurate unless they know for certain that it is not. If they read something about a subject which they are not very knowledgeable about, they assume that the author has the credentials to be posting that information. Otherwise, why would it be posted? There idiots in social media groups who have declared themselves as info supreme. These have falsified information pass it on as the truth. This has destroyed the country in five days. 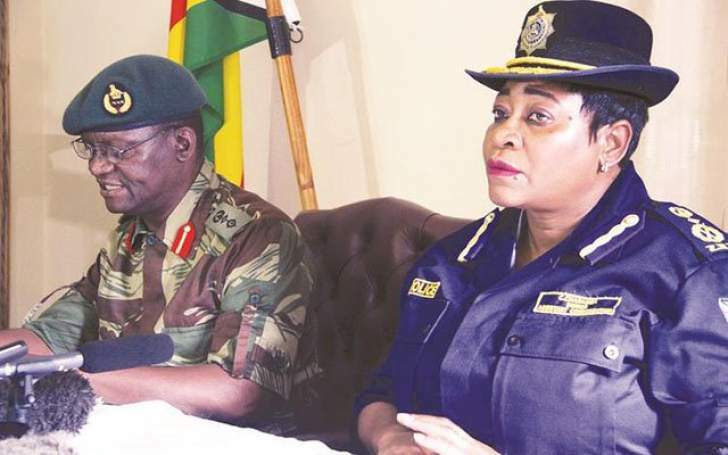 There was information flying around that soldiers have killed three hundred people in Zimbabwe there was no official verification. Very well known MDC A members took to the social media and rode on the lies to gain relevance. They now make people believe that they are the only source of recovery in Zimbabwe. They peddle so much lies and even post very old videos of violence elsewhere in Africa passing it on as current situation in Zimbabwe. People should frequently using the internet to help solve issues alas Zimbabwe thinks internet is the mouth piece of the opposition. We run across an error code, a crash, or another type of problem and we usually go to the internet. With the vast amount of knowledge that is available, and the incredible search engines that we have at our disposal, it is pretty easy to find someone else who has already run across the issue. Internet makes it even easier to find other people who have experienced the issue we are running across. They may be completely wrong and are treating a symptom as the actual problem. What's even worse is that information gets passed around and misinformation travels fast. That information is passed on and becomes a rule. You should see some of the insanity We have heard because someone once said this then he must be correct. One must try and find the source of the information and get the author to update their post and provide the correct information in an attempt to reverse the danger. Journalists must look at the light in which they are presenting the information. Are you presenting the information as fact or supposition? Are you describing a problem that you are having or are you describing a problem that the country is having? These are not the same things. When you write an article in a voice that describes the country as having a problem, you are most likely doing a disservice to the country and to the community. Negative information doesn't really help anyone. At best it will be misunderstood, and at worst it is link bait. Just a way to get attention and hopefully make a name for yourself. Instead of shouting from the rooftop that the nation has a problem, you need to change the voice. Describe how you are having an issue with the nation and present it with the very real possibility that you are wrong. Talk about how you approached the problem and how you investigated it. Talk about what your assumptions are and the issues you have run into. It is the same information as blaming the country for being faulty, but framing the voice to admit that you may be wrong. That is powerful. That is the boldest statement you can make. Stand up and say to the world: "I was unable to veryfy this, but this is what I found". If you are afraid of being wrong, afraid of being embarrassed, and therefore do everyone a favor and do not write fake news. Fake news helps nobody. It has long lasting negative effects. Because of the lies social media peddles people believed that Zimbabwe was burning. People believed a war has started. People believed ED was on his way out. A lot of lies made the country look bad. It does not do good for any one to post lies. Zimbabwe deserves better and the liars on social media must grow up. Responsible reporting is a good responsibility. Each one of us has a responsibility to save our country. No sand pouring.